Here is the oldest human-type DNA recovered. Scientists have recovered it from a Neanderthal that lived 100,000 years ago! 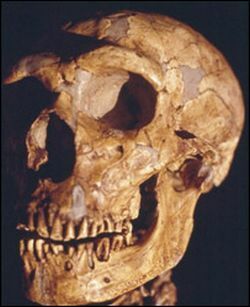 It was extracted from It was the tooth of a Neanderthal child, from which the DNA was extracted. The child was discovered in the Scladina cave in Belgium’s Meuse Basin. This finding reveals that our people living long back were more genetically diverse than expected. The study is reported in Current Biology. But, what led their diversity to decline? Is it climate change or disease? May be, it is by the time early humans arrived in Europe about 35,000 years ago, there was a disease outbreak or a distinct change in the climate. The genetic material has been isolated from mitochondria, by French and Belgian researchers.